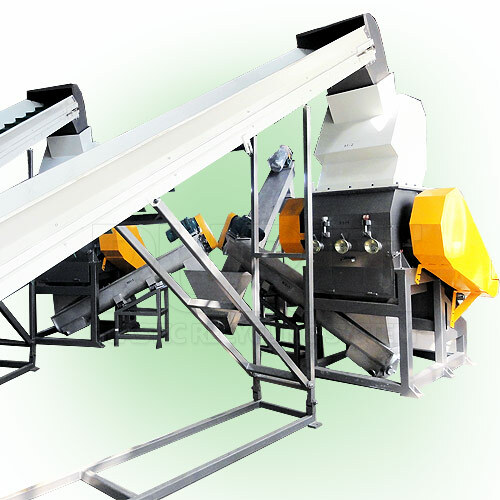 1.The waste bottle washing machine / PET bottle recycling machine / plastic bottle crushing washing drying line is used for crushing, cleaning, separation of bottle cap and label, depriving of impurity and glue material, and drying for bottle plates. 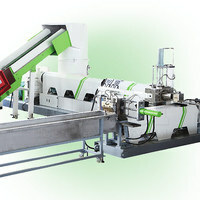 Then those discarded PET bottle will become reusing PET materials. 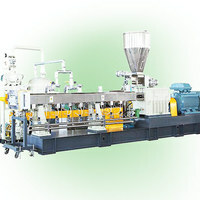 2.We have several different standards of PET bottles recycling line according to different production capacity and requirement for cleaning. 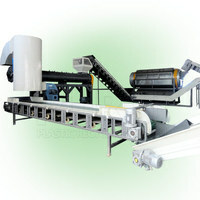 The PET plastic recycling machine unit has a capacity of 300-2000kg/h. 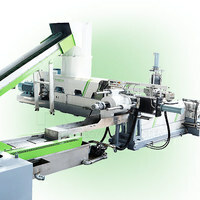 3.Clients can choose the most suitable plastic bottle recycling equipment for them to produce high quality pet plastic which can be used for selling, drawing filament, producing PET particles or blowing bottles. 1.When our waste bottle washing machine process PET bottle, final products humidity below 1%, impurities100ppm,PVC label content 100ppm . 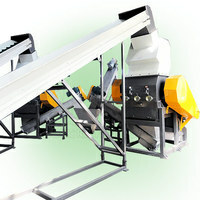 The whole line capacity between 300kg/h-2000kg/hour. Final products has good quality. 2. Parts which contact PET materials use SUS304 stainless steel, thickness more than 3mm, ensure the Final products has good quality. 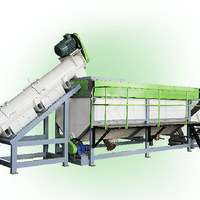 keep the pet bottle washing recycling line with long time service. 3. World famous brand components will be applied on the pet bottle washing recycling line,such as SKF bearing, Siemens contactor, Omron temperature, FUJI invertor, Siemens PLC controller, etc.